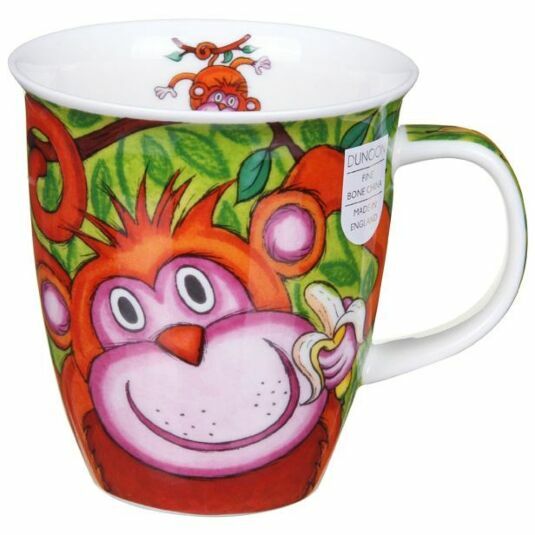 A close-up cartoon portrait of a monkey features on this vibrant mug from Dunoon. His bright pink face has a cheeky smile, and he swings from a tree through a green jungle background with a banana in one paw. 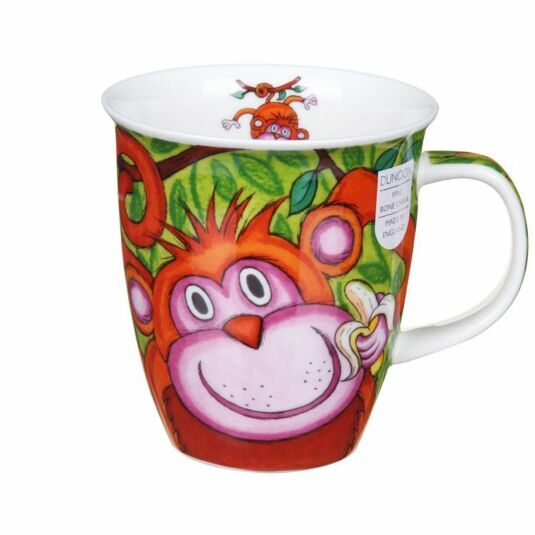 This cheerful mug will brighten anyone’s day!